For over a year, Barbara McDaniels has been dedicating her time, energy, and passion to helping Giving Children Hope(GCH) accomplish its mission of serving vulnerable communities. She first came to GCH after retiring when she was looking to volunteer with her friend Leora in our We’ve Got Your Back(WGYB) program. Attached to her volunteer application was a note explaining other things she could help with. Being extremely self-motivated, she was swooped up to assist with special projects and so she has yet to actually pack backpacks for WGYB as she initially planned. 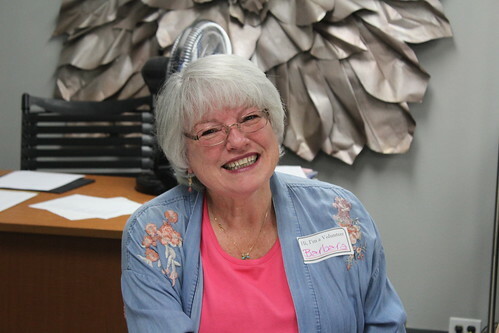 Barbara is an extremely dedicated volunteer who enjoys helping children and families in need to move out of poverty. She is very aware that there is a lot of negative in our society and so she enjoys being a part of adding some positivity. She feels that contributing in a positive manner makes us more aware of the world around us and those who are affected by unfortunate circumstances. When not volunteering, Barbara enjoys reading and square dancing for fun. As she has gone through life, she has started to take a bit more risk, and so she is often trying new things and traveling. When asked how her best friend would describe her, she said talkative, with a sense of humor. And while this is absolutely true, Barbara’s warmth, consideration, and thoughtfulness shine through even stronger. She is very aware of the fact that no two people are created equal, and along with being aware of these differences, feels we need to understand that we can never fully know where anyone is coming from. 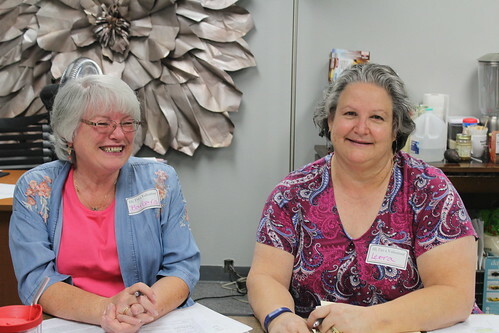 Barbara with her best friend, Leora, volunteering at Giving Children Hope. We are so grateful to have Barbara give her time to Giving Children Hope and even more so to have her in our family.